When will be The Family Chase next episode air date? Is The Family Chase renewed or cancelled? Where to countdown The Family Chase air dates? Is The Family Chase worth watching? The Family Chase is a Saturday tea-time version of the international hit game show, The Chase.The six-episode run began on ITV in September 2017, with each show featuring a different family trying to stay one step ahead of the chaser for the opportunity to win a cash pot worth thousands. 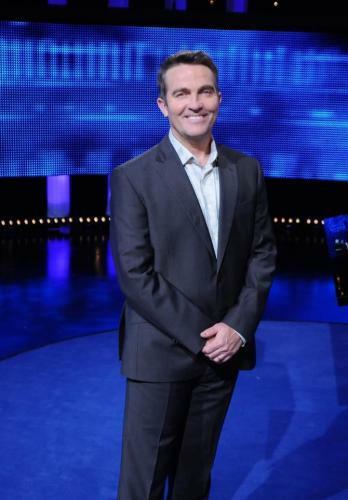 The four contestants will each answer a series of general knowledge questions as they attempt to get their tactics right and make it into the final chase, where they will then face the chaser once again for the chance to walk away with the prize.The format of the game will remain the same but the teams, which are usually made up of four strangers, will be replaced by four family members.Families will then go up against either The Beast, The Vixen, The Sinnerman, The Dark Destroyer or The Governess in a test of their general knowledge. Is a family of four clever enough to take on one of the country's finest quiz brains? The Lawrence-Harish family from Wolverhampton take on the challenge and hope to win thousands of pounds. Bradley Walsh hosts. The Family Chase next episode air date provides TVMaze for you. EpisoDate.com is your TV show guide to Countdown The Family Chase Episode Air Dates and to stay in touch with The Family Chase next episode Air Date and your others favorite TV Shows. Add the shows you like to a "Watchlist" and let the site take it from there.